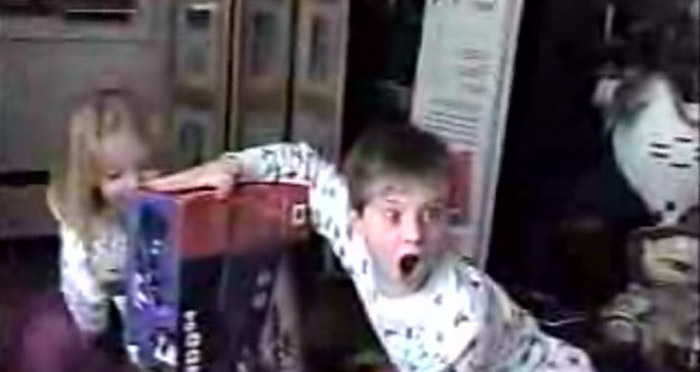 What to Buy your Gamer Boyfriend for Christmas 2012? How is it nearly December? Whatever – with Christmas a little more than three weeks off, its time to start planning who gets what on your shopping list, including that crazed gamer you call your boyfriend. He already has everything, but you want to get him something he would really enjoy – something that he wouldn’t see coming, and will love you for it. Wait, why are you laughing already? I’m serious: this mythical Christmas gift for your gamer boyfriend actually does exist, you just have to be creative. Okay enough, stop laughing. Before I delve into my sincere suggestions, let me reinforce the fact that you really have to be creative. What does that mean? It means don’t buy him Black Ops 2 (he probably already has it, or has it on pre-order), or whatever game the weird Best Buy sales guy says to buy, because your boyfriend isn’t a good enough actor to pretend he will like it when he opens it up Christmas morning. Alright, on to the unofficial Holiday Gamer Gift Guide 2012 from LFG Dating! I’m 29 years old, but you know what game I still obsess over more than any other? Goldeneye 64. I still own the console, and I still love firing it up. I also recently picked up a Super Nintendo off eBay, and have been fighting through Zelda: Link to the Past a few times a week after I get home from work. Since you can’t buy games from either of these eras in almost every store, going the eBay route and outbidding for your gamer boyfriend on some retro classics will blow him away (trust me). Want an easy solution to figure out which system and/or games to buy for him? Just call his sister, parents, or speak to his old friends to find out what his first game system was, then just get him that and/or games from that era that fall into his favorite genre. The bottom line: this will win you Girlfriend of the Year. Do it. Does your guy think he’s the greatest thing since sliced bread when he picks up a controller? How about getting him the Top 3 or 5 hardest games of all time? Don’t know what they are? Google it – there are countless top lists for just about every category imaginable, and while they are all subjective, most of them will all point you towards the same titles. Demon’s Souls, Metal Gear & Battletoads for NES, etc; if you tell him you did the research and followed through on something like that he will not only probably make you breakfast in bed for the next 8 months, but he’ll tell all of his friends about you (well, he should be doing that already, but in case he’s not). All it takes is a little research. Don’t have enough money for three or five games? Just go for the #1 title on any top list, or go for one in the top 10; just be sure to tell him the “why” behind the gift! Sure winner. That’s it! Yup, just two options, because you shouldn’t need any others. What’s that? You’re just going to get him Black Ops 2? Did I not teach you anything? Oh well. Best of luck to all of our holiday shoppers out there, and here’s to every gamer getting what they want this holiday season! Oh, and since we linked the picture, here’s a Christmas gaming classic.